On August 17th, 2017, Hurricane Harvey hit the Texas coast, continued northeast, and became known as the costliest hurricane on record (inflicting nearly $200 billion in damage, primarily from widespread flooding in the Houston area.) After Harvey came Irma, Maria, and finally Jose. 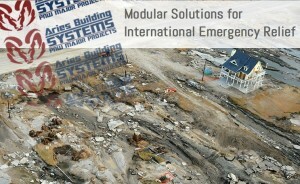 Our team was able to join forces with Aries Building Systems to make sure people knew about modular classrooms, mobile offices, and other temporary building solutions.